A tanker carrying tonnes of the like-it-or-loathe-it condiment overturned on the busy M1 last night, closing a section of it. This file photo: you either love it or you hate it. THIS IS THE TYPE of story that you will either love or hate… literally. A busy section of the M1 motorway between Leeds and London is reopening this morning after a tanker carrying over 23 tonnes of Marmite yeast extract overturned and shed its load just outside Sheffield. The tanker collided with a caravan at around 10:15pm last night, spilling tonnes of the thick, sticky, syrupy condiment across all four lanes of the northbound carriageway, and into some sections of the southbound passage. The end result was that the section of the road was sealed off overnight – with staff from the UK’s Highways Agency working through the night to clear the love-it-or-loathe-it goo. The driver of the tanker was brought to hospital but PA said their injuries were not serious. Reports that rescue workers had sought urgent deliveries of toast and butter could not be confirmed. 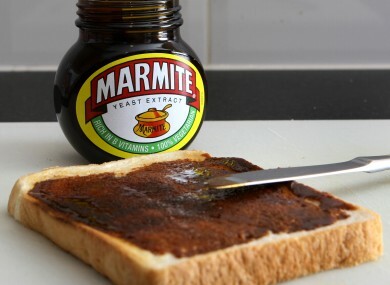 Email “Major British motorway shut down after 23-tonne Marmite spill”. Feedback on “Major British motorway shut down after 23-tonne Marmite spill”.